Your local coffee shop: the smell of coffee brewing and the sounds of the milk being steamed and frothed are iconic to most of us. We know from pop culture and television that your local coffee shop is the coolest place to be and hang out (maybe with your Friends?). But did you know, that coffee shops are also great places for young, local artists? For aspiring or new to the scene painters and photographers, the locally owned coffee shop can be your best friend. Many coffee shops look for a group of artists and photographers to rotate their art on the walls as a way to attract new people, and create an artistic and creative environment. It allows them to engage with the community while showcasing local artists. It gives guests something unique to look at, and by switching out artists every now and then, gives customers a reason to return to see the new art on display. For artists, showcasing your artwork at the local coffee shop can have many benefits. Coffee shop and cafe owners are often happy to give you a free or cheap place to publicly display your art or photography. If they agree to adorn their walls with your art, you receive a much bigger exposure with a wider audience. Art galleries often have peculiar hours and only cater to a certain crowd and community or demand an entrance fee. Meanwhile, coffee shops appeal to lots of people for free. 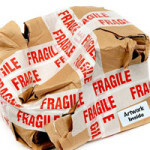 For artists trying to sell their artwork, with a wider audience to see your art, you are far more likely to sell something. Additionally, there is always the possibility that a painting or other piece draws the attention of the local media and both the artist and coffee shop get noticed for their artwork in the local newspaper or news where they can gain massive exposure. So, if you think you are ready for a coffee shop display of your own, getting one can be much easier than it seems at first. Like a lot of things in life, the art is in the asking. First of all, you want to seek out a locally owned coffee shop. So, avoid the big chains like Starbucks, Caribou Coffee, Dunkin’ Donuts, etc. These corporate giants will not display your art. Instead, look for the popular hole-in-the-wall type coffee joints. Make a list of the coffee shops in your area and check them out in person to make sure you like the vibe of the place and it would make a good venue for your artwork to stand out and contribute to that vibe. Next, talk to the manager of the shop. This is also best to do in person. It is easy for a busy manager or owner to ignore an email or say they will call you back, but a face-to-face encounter is much more likely to elicit a positive response. And typically, the response will be based on your timing. A general tip is to not bother the manager when the coffee shop has a long line to the barista or is very busy or crowded. Find them when business is a little slower. Also, some businesses are more welcoming than others, so if you get rejected, don’t take it personally. You should also remember that the coffee shop may want something in return for hanging or selling your art on their walls. It’s not uncommon for these shops to take a percentage of the profits on the sale of your artwork. Just remember that it will still be cheaper to hang your artwork at a coffee shop than your local art gallery. After you get the “yes” you want from a coffee shop, there are a few things you will need to do to prepare your artwork for the shop. You will probably need a good artist statement about you and your work. This will help people get to know you and your art or photography and help people connect with your work. 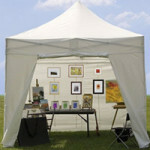 You will probably have to supply your own frames for your paintings or photography. Something simple and classy like our Nielsen Wood Frames make an excellent display and are more likely to get your artwork noticed. Coffee shops are probably not the best place to display your larger works. Often, smaller pieces work better and you can hang up more on the walls. There is always the chance you are competing for wall space with other artists, so the more small pieces you contribute, the better. People are also more likely to make impulse buys on smaller works. 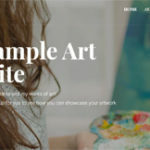 And you can always mention your website or gallery page in your artist statement to let people know about larger pieces or photos. And once these things are done, enjoy all the benefits of the exposure you’ll gain from supporting a local business and having a wide audience see your art. At the very least, it will boost your self-esteem and its much cheaper than renting out gallery space. If you have had any experience displaying your art in a local coffee house or cafe, let us know about it. We’d love to hear your story, so be sure to tell us about it in the comments below.